For anyone unfamiliar with John Steinbeck’s novella Of Mice and Men, it is a simple yet undoubtedly compelling tale of hardship and alienation. Set in California during the Great Depression, the story centres around two migrant ranch workers, George (William Ash) and Lennie (Steve Jackson), as they go in search of employment and security. George is the brains of the outfit, making all the decisions and ensuring both men have a roof over their heads, whilst Lennie is a big and loveable soul; he is not the brightest of sparks, but is undeniably an excellent worker. Set and costume designer Colin Richmond does well to capture the semblance of Steinbeck’s fable, creating a stark yet oppressive stage which outlines the worn walls of a barn littered with straw and coloured with a mix of warm yellows and light browns. The result is that the viewer gets caught up in the world of the rural West and immerses themselves in the story that ensues. While on the whole accents are solid, at moments they appear forced and unconvincing, leading to moments of wavering believability. The actors are generally well cast, with George and Lennie being particularly notable. Their ability to portray the ethos of Steinbeck’s characters, through the successful capturing of both men’s plight and victimisation, is commendable and allows a certain degree of empathy. Despite only being one of the minor characters, John Macauley’s portrayal of the crippled skinner Crooks is powerfully moving and therefore also worth noting. A character who exists in an openly-racist culture, Macauley manages to beautifully evoke the awkward isolation created as a result of a hostile social division. This combined with an impressive encapsulation of the character’s debilitating back injury makes for an endearing and ultimately compelling performance. Though the play takes a while to get going, this is arguably due to the slow moving dialogue that builds gradually to a closing crescendo. By the end of the first half, the audience find itself encompassed in the struggles of the lead characters and the sympathies that go with them. However, this sympathy is inconsistent. Certain scenes, such as the execution of Candy’s dog, are excellent in their ability to create tension, but unfortunately, this level of engagement is not maintained throughout. Considerable moments of the play feel drawn out and lack conviction; so while the performance is certainly amiable, it is ultimately capricious. Taken from The Student, published Tue Feb 21st 2012. Monologues are notoriously difficult to do well. Their reliance on a single individual to keep an audience engaged for the duration of a show is a huge test of a performer’s skill and acting ability. However, Simon Callow is no stranger to the one-man play. A return to familiar territory following his somewhat controversial Fringe performance, Dr Marigold and Mr Chops illustrates once again that Callow is a master storyteller. A play of two stories: the first is a tale of a dwarf by the name of Mr Chops, whose luck with the lottery provides him with the place in society he has so desperately craved; the second is of a travelling salesman named Dr Marigold, who adopts a little deaf and dumb girl. First to strike the eye is a stunning set that is decadent yet derelict, with long, red, velvet curtains draped behind tables of cobwebbed trinkets. Amongst the bric-a-brac, Callow takes to the stage and at once has the audience enraptured. Dickens is often criticised for the long-windedness of his writing, yet Callow manages to deliver the text with a universal accessibility that is immediately apparent. The tales themselves are interesting in the way they point to injustices in society that are equally applicable today. Mr Chops is powerful in the way it illustrates the exploitation of celebrity, where a person can still be used and discarded when they are no longer beneficial to others. It focuses on how one’s place in society doesn’t naturally entail one’s overall happiness; a factor which Mr Chops only realises when it is too late. Dr Marigold, on the other hand, is remarkable in the way it is delivered through sales talk, with a narrative explained by deals and exchanges. Once again, this is a story which has an emphasis on society, this time looking at a disabled person’s place within it. What Dr Marigold and Mr Chops iterates is heartwarming stories with an underlying poignancy that can teach us a lot about our own lives. Whilst not perfect, this is a brilliant way to ease oneself into the world of Dickens. Taken from The Student, published Tue Nov 8th 2011. WC’s strangely disturbing production is a bold attempt at considering the darker side of the life of a comedian contemplating self-destruction following a growing displeasure with his life and work. Dissecting the fundamentals of comedy, it aims to explore the root of what makes us laugh – which, unfortunately, doesn’t seem to work. It is important to point out that this is not the fault of the cast, whose impressive aptitude for acting is admirable given their relatively young age, but instead the fault of the script itself. Written by Emmerdale’s Shaun Prendergast, it strives for a pathos that it is never able to achieve; nonetheless, it’s an idea which – if better orchestrated – would make for a very astute production. Sweet Grassmarket, 6 – 10 Aug, 12.50pm (1.50pm), £5.00 – £7.00, fpp261. Taken from Three Weeks, published online Wed Aug 31st 2011. 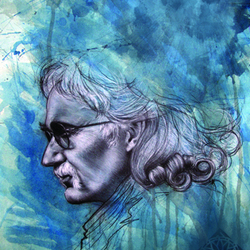 Capturing the essence of one of Britain’s greatest poetic minds, Andrew Floyd creates a performance that is as moving as it is witty, as poetic as it is informative, and as powerful as it is amusing. Based on the real life events of Alan Jackson who isolated himself from the world after questioning the meaning of the poetry he had written, The Attic outlines a rigorous period of self-enquiry. Brutal examination results in the confrontation of all manner of existential tribulations and self-discovery portrayed superbly by actor Andrew Floyd. Conveying the heart-wrenching struggle of inner turmoil through beautifully written language that covers a variety of narrative forms, the honesty of this production is the root of its brilliance. Columcille Centre, 13 – 14 Aug, 2.30pm (3.45pm) and 6.00pm (7.15pm), £8.00 – £10.00, fpp239. 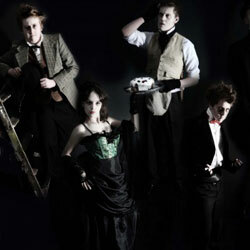 Arkle Theatre’s The House of Yes is dark comedy at its most sinister. When a harmless thanksgiving dinner amongst family takes an unexpected turn for the worse, it is not long before the quaint becomes the chaotic. Riddled with outlandish family secrets, revealed slowly throughout the course of the evening, it is an entertaining exploration into a family affected by the troubles of a daughter’s mental illness. With a striking performance from Lorraine McCann, whose transformation from caring daughter to jealous lover is superbly portrayed as a chilling descent into delirium, the play remains gripping until its end. Hindered only by American accents which clearly need more work, this is a comedic tale that is morbid yet clever. The Royal Scots Club, 15 – 20 Aug, 8.30pm (10.00pm), £8.00 – £10.00, fpp269. Despite being advertised as a dance and physical theatre performance, Last Notion’s production comes across more as a piece of classical theatre with added extras. Featuring minimal props and costumes, the show is dependent on the cast creating engaging interpretations of Shakespearian prose; a task it is unable to achieve. With performers split between those that are overly melodramatic and those that massively lack confidence, it’s clear that a longer time spent working on the nuances of the script is needed. The elements of physical theatre seen principally in the portrayal of the three witches and the ghost of Banquo have reasonable potential, and it’s obvious that things would improve with a bit more work. Greenside, 5 – 12 Aug, 2.50pm (4.05pm), £5.00 – £6.50, fpp173. 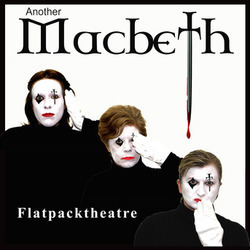 Despite its relatively unappealing title, Flatpacktheatre produce a no frills production of Macbeth that aims to get at the heart of the tragedy of regicide and ambition. It’s led by the strange Weyward Sisters who take on the parts of the witches, spirits and lesser characters, bringing the piece together, and filling in the gaps of the protagonists. A relatively efficacious production, it is let down by a certain lack of engagement with the script from a few of the actors, whose grasp of the prose seems uncertain, making their performance seem jilted. This, combined with sluggish technical features, makes this a production that needs to refer back to the original more effectively if it is going to be successful. Quaker Meeting House, 15 – 20 Aug, 2.15pm (3.45pm), £7.00 – £8.00, fpp238.